The majority of our plays are 2p games between my wife and me. 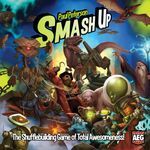 This Geeklist is intended to track our 2p plays and rank the games from our most to least competitive between us. In the event of a tie, the game we've played more often will be given the advantage unless one of us has an undefeated record to which the least played is given the advantage. Abstract games are not either of our favorites, but they definitely appeal to me more than my wife. I enjoy the typical brain burn of abstracts which I would enjoy more if I had a regular, willing opponent. This is a game that is easy to teach, but takes time and plays to master. It also plays very quick. Players mix two different factions and compete for majority control of various active bases in hopes of being first to 15 points. Each faction has characteristics that allow it to weild its strengths and manipulate the variety of minions in play in hopes of grabbing the advantage. This game took us by storm with 39 plays our first month. I didn't think my wife would like it since it can be a contentious, "take that", kind of game. But it is simple to teach and quick to play and ultimately she feels like she can win which makes it fun and a favorite in her eyes. We added the Job Faire characters to the mix around the 70 play mark for more variety. It is also our second game to reach 100 plays. The Mega variant with all 12 characters has turned out to be our favorite format. I appreciate its depth the more we play it. A solid bag-builder eurogame where you acquire worker tokens that are placed to take a variety of actions to acquire more workers, coin, status, goods, travel and build. A variety of tense choices each round and multiple paths to victory. 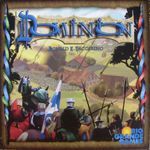 Dominion is currently the most played game in our collection. We have the base game, Intrigue, and Seaside, all of which we enjoy. Most of our plays are with other people, but we've also managed a significant number of 2p games. This Origins 2013 purchase introduced the wind rose and cube selection-action mechanisms that we find very intriguing. 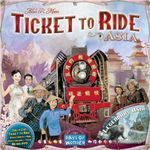 Of all the Felds in our collection Macao rewards the experienced player the most as it takes time to learn what cards are in the game, how to use them, and then be positioned to leverage them effectively when the appear through delicate planning (and a little luck). My wife got me this for Christmas 2012 based on our enjoyment of Castles of Burgundy, our first Feld. 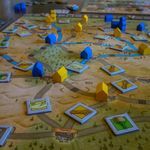 Trajan is the heaviest Feld design in our collection. The set of "mini games" offer a variety of opportunities for grabbing points once you master the featured Mancala wheel-like mechanism. Experimenting with the various strategies has enabled me to be flexible to react as the game unfolds. Ultimately, the game rewards repeat plays. This hand management card game has players place character cards in various city locations and use their special actions in order to manipulate other cards to score secret objective cards for points. The more you are able to manipulate the cards the more interesting and fun the game becomes. 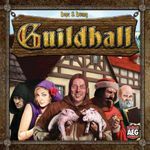 Bruges is all about effectively leveraging the 160 plus unique character cards which can be used in a variety of ways. 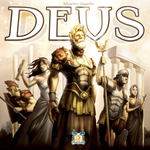 This tactical Feld title was my pick for best new game of 2013 and has quickly become one of my favorite games. The more we play the better this game gets. 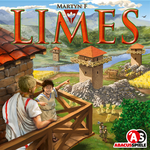 We added the expansion, The City on the Zwin, which has elevated our enjoyment of this title. 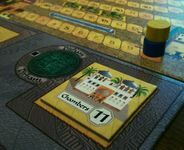 Players build their civilization through a variety of building placements corresponding to ability cards in their tableau which compound by type. Part race, part engine builder. 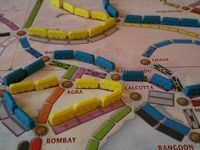 As a family we have enjoyed lots of Ticket to Ride which led us to acquire the first two Map Collections (not drawn to Vols. 3 or 4). Had I kept better records of our earliest plays I suspect the base game would have made this list. Regardless, the Legendary Asia map is our most contentious 2-player map with its acceleration (car maintenance) mechanism resulting in quicker game play. 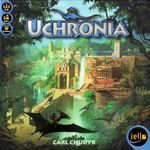 Uchronia is a streamlined reimplementation of Glory to Rome that feels to us like a cross between two games we enjoy Innovation (by the same designer) and Guildhall with its use of multiple use cards with some set collection and a bit of a race element to 20 points. Innovation was my first demo game at Origins 2012. I was taken with its assortment of cards with different abilities that enabled you to expand your civilization (tableau) and disrupt the plans of others. Within the first few months this game saw 41 plays becoming our second most played game that year. Given our enduring rivalry with this one, it usually sees 2-3 plays each time in reaches the table. 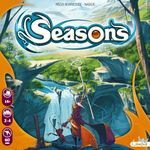 We play with a mix of just the base game or with the inclusion of Echoes of the Past expansion. Light, set-collection game for 2p that plays fairly quick. A little fiddly with constantly sliding cards down, but manageable. Careful hand management and making the most of good timing are key to a bountiful and tasty walk in the woods. Kingdom Builder plays fairly quick and it clicks for my wife so we have a game with variety and replay ability that should bring lots of fun to our table as a couple. 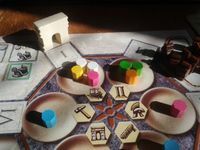 With a variety of board layouts, location tiles and objective cards each play presents a puzzle that makes it engaging. 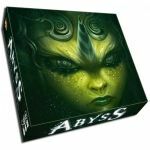 Players explore the depths of a gorgeous underwater fantasy world to solicit allies and court lords in the council to gain control of bonus yielding locations for the win. A racing game that is something new form Mr. Feld. You navigate the waters of a modular map to complete a variety of different objectives faster and more efficiently than your opponents. No point salad here--no points at all, actually. Players take on the role of sorcerers of the kingdom competing in a three-year tournament to decide the new Archmage. Draft your 9 power cards, then collect energy and summon magic and familiar powers to accumulate amongst other things crystals needed to win the challenge and gain the title Archmage of the kingdom of Xidit. 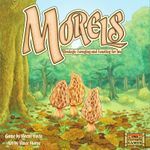 Players chuck dice and leverage Research abilities and Flavor Dice to build more popular coffee blends while accumulating points from competitive Blends or completing Research Tracks. Plays quickly. 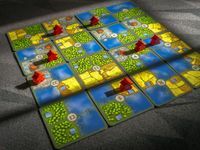 A quick, simpler game similar to Carcassonne where players place randomly drawn cards into a 4x4 grid while carefully placing a limited supply of workers into 1 of 4 occupations that score points a the end game. A friend brought this to Game Night and my wife enjoyed it so much she bought an expansion box for it when we didn't even own the game! This prompted me to broker a trade with my friend and it has become our go-to tile laying game since then. Our seventh Feld title. You control a scientist who programs robots while your engineer puts them to work in the various research stations through out the underwater research center. Utilize the robots as efficiently as possible to recover and analyze crystals, expanding your lab, capture octopods who infiltrate the aquasphere and interfere with progress or risk losing to your competition peers. 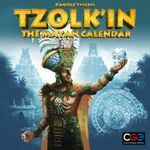 Tzolk'in is a fun worker placement game, possibly even my favorite. It's fascinating gears mechanism requires critical placement and precision timing to masterfully outplay your opponent. It offers numerous decisions with a constant changing landscape of opportunities. Given you have limited resources and can only place or remove workers, planning is important.